You’ve heard the term “knee jerk reaction.” Well, our brains do the same type of thing. Through the course of our lives, our brains create neurological pathways which connect thoughts to reactions. These reactions manifest as emotions and physical experiences. Until recently, it was generally accepted by medical professionals that once the brain has formed these neurological pathways, they could not be changed or influenced later in life. In her book Brain Boosters: Seven Ways to Help Your Brain Help Yourself, Simone Ravicz, PhD, employs the newly proven concept of brain plasticity, the theory that we can reprogram our neurological pathways at any point throughout our lives. By combining brain plasticity with proven psychological treatments, Dr. Ravicz provides tools to accomplish this reprogramming, along with the insight to change thoughts, and our emotional and physical responses to them. If you have experienced phobias, depression, anxiety, chronic fatigue, PTSD, trauma, weight related issues, chronic pain, or any symptoms of other serious illness, Dr.
It’s a fact that the brain controls the body, but what controls the brain? In his new book, Brain Maker, David Perlmutter, M.D., describes an emerging field of science that contends that the gut controls the health of the body, including the health of the brain. As you may recall from Dr. Perlmutter’s first book on the subject, Grain Brain, the impact of grains in the diet was shown to influence the gut’s microbiota and, subsequently, the body’s health. While Grain Brain focused exclusively on the impact of grains, Brain Maker goes one step further by directly connecting all outside influences to the state of the gut’s microbiota, and showing the profound impact an unhealthy microbiome has – especially on the brain. The gut, comprised of both the large and small intestines, is responsible for the metabolism of food and subsequent distribution of nutrients to the organs and cells of the human body. Warm weather lures many of us outside after months of mainly living inside. Gardens are planted, pools readied and eating options now include al fresco dining. A favorite activity is barbequing. 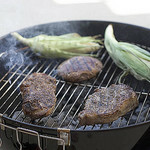 Meat sizzling on a hot grill releases a seductive scent few can resist. Banishing beef and pork, lamb, chicken and even eggs from your diet is not a healthy move, according to many nutritional experts. Your body is being deprived of vital nutrition. Unlike trans-fat, found in margarine, processed meats and fast foods, eating animal flesh supplies saturated fat rich in Vitamins, A, D and K.
Receive the full nutritional benefits by consuming meat and dairy products of animals fed on grass and/or pasture lands. Perhaps the words, “open up, this is good for you,” bring back childhood memories of cod liver oil slipping down your throat. Whether you remember it fondly or with a shudder, you swallowed one of the world’s healthiest foods. Cod liver oil provides necessary doses of Vitamins A and D. The latter vitamin is a key component to building strong bones in newborns and young children and maintaining them as we age. For centuries, it bolstered health and well-being particularly in Northern European fishing villages from Scotland’s Shetland Islands to throughout Scandinavia. Then as now, winter weather is harsh and the sun’s seasonal appearance brief. 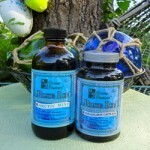 By the mid-18th century the oil’s healing properties were discovered to also benefit those afflicted with rheumatism. Advocates grew to include people with chronic dry skin, brittle nails and hair. Your reflection mirrors your shock and dismay. When did those wrinkles around your eyes deepen, and is that your grandmother’s papery thin neck skin developing under your chin? Some might feel the advancement of years equals never-ending physical decay. But instead of resigning yourself to wearing sunglasses and turtlenecks forever – try instead “youth building” through Inclusive Health®. Our friend and famed dermatologist, Howard Murad, M.D., F.A.A.D., discovered that the aging process causes cell membranes to lose elasticity and release vital intracellular moisture. That moisture is the base for a robust body as demonstrated through firmer skin, healthy hearts and even lush hair. 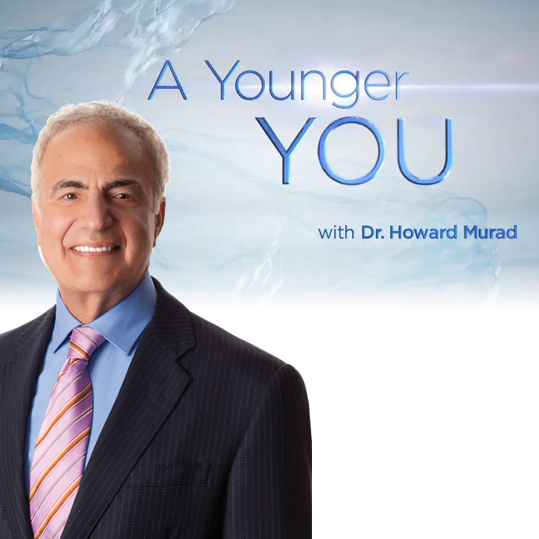 Dr. Murad’s “youth building” methods slow the aging process and even reverse several. His enthusiasm for Inclusive Health® is contagious and available for everyone, of any age, willing to modify their lifestyle.